Welcome Sign: greet your guests at the entrance to your Dallas wedding venues with a welcome sign, hand-lettered to make a big statement. This personalized touch to your big day will go a long way in creating a “wow” moment for guests as they enter the reception. Make the look your own by choosing the medium: will you opt for white calligraphy on rustic wood? Or perhaps an antique mirror, hand-lettered with your monogram? Add personal details to take your welcome sign to the next level. Directional Signage: Sometimes directional signage is a wedding day necessity… directing guests to restrooms or parking may not seem like an elegant detail of your special day, but it can become one! Have your calligrapher letter this signage to turn a blasé necessity into a charming décor element. Seating Info: Whether you have guests pick up delicately calligraphed individual cards, or find their table number on a massive mirror hand-lettered with guests’ names, the seating information can easily become a memorable décor focal point. 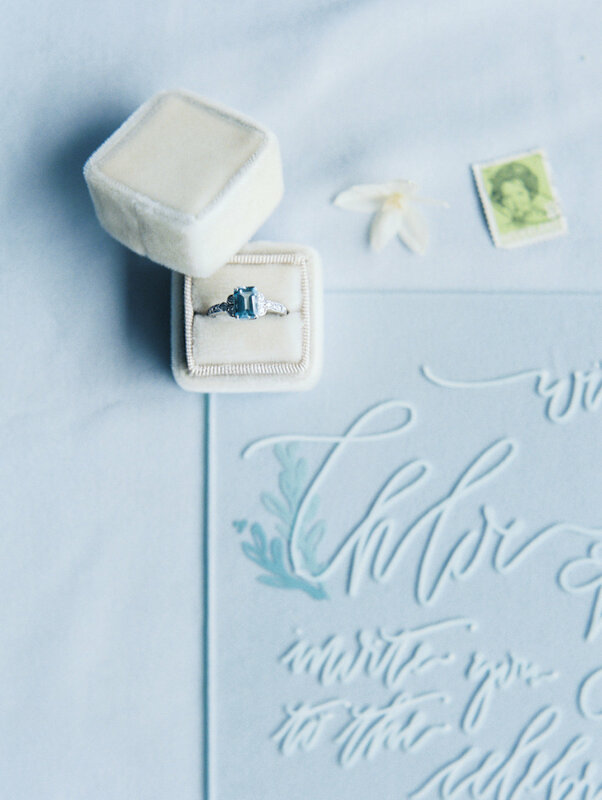 Ask your calligrapher for ideas if you’re stumped on creative ways to pull this off. Menu: Menus have become increasingly personalized over the last few years. We’ve seen calligraphers write on just about anything, from daintily deckled cotton paper to modern clear acrylic plates and everything in between… including entire menus lettered on large cacti! You can get incredibly unique with your menu design, so be sure to brainstorm unique ways to make this element a statement piece at your reception. Vows: We love when couples have their vows lettered before the big day. Place them in frames on the welcome table, or have them lettered large-scale as a backdrop to the site of your “I do.” We’ve even seen vows written on fabric and used as personalized aisle runners. An extra bonus to having your vows lettered? They make a lovely keepsake for the newlywed couple to feature in their new home together. Sweetheart Table: Check out our last post on why a sweetheart table really is a must-have at your wedding reception… and then deck it out with personalized signage attached to the bride and groom’s chairs. We love seeing “Mr. and Mrs.” signs affixed to their chairs with gorgeous ribbons. And it only gets even better when the newlyweds inject more personality into this signage! Use song lyrics from the couple’s first dance, or lines from a poem that has meaning for the couple. Guests are sure to love this customized décor element, and it will make for amazing photo opportunities. Where do you envision signage for your big day? We’d love to hear your ideas! 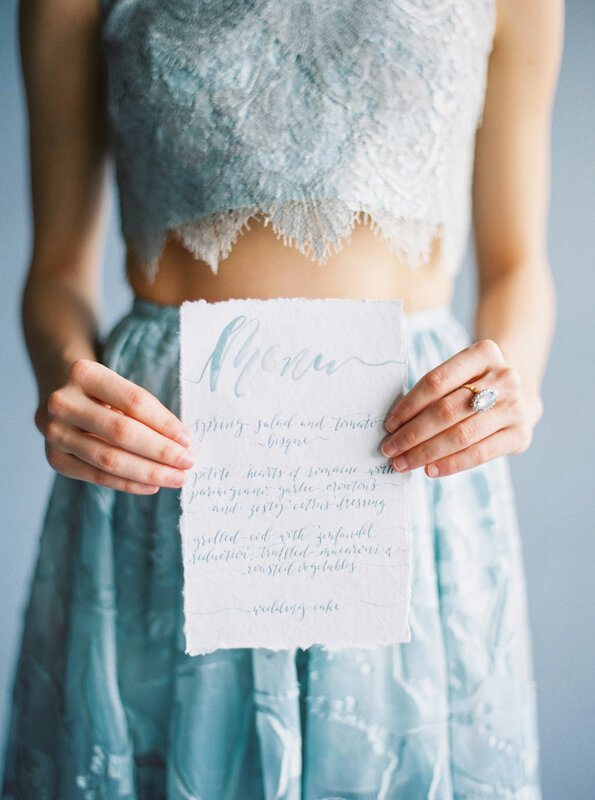 Incorporating calligraphy into your wedding signage is a terrific way to transform informational necessities into swoon-worthy details you and your guests will treasure. Let us know if we can help you with ideas for making our modern venue your own one-of-a-kind space. As one of the top Dallas wedding venues, we are happy to offer our expertise in any way that helps you execute your dream day!